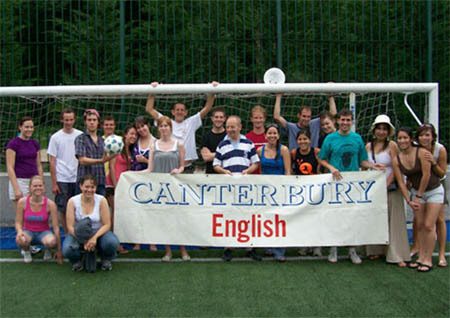 Who takes the Canterbury English TEFL Course? Why is it so Difficult to Work in Spain & How does Canterbury English Help? There’s been lots of Canterbury English couples, a few Canterbury English marriages and at least one Canterbury English baby! “Family” is kind of a big word which you have to be careful using, as it can and is misused in publicity. That’s why we say Bona-fida, because we mean it that way. Some TEFL programs churn out Diplomas like churros (a Spanish pastry, which you will soon enjoy dipping it into rich chocolate), take all your money, farm you out and call you family. Maybe they should be more honest and call themselves a money making business and drop the family adage, because no real family does that to any of its members. Why is Canterbury English a Bona-fida family, compared to the rest? First of all, if we all have our own families, why do some TEFL programs, including Canterbury English, who coined the term two decades ago, use the word family. Yes, we all have families, but because we now live in Spain, most of our families are living a long way a way, hence the need for an ex-patriot family. Family is about real long term relationships with people, who, yes have paid to be a part of that family and receive a service for it, but who maintain a relationship with us for many years. The word you and us disappears after a while and you are us. You are a Canterbury English TEFL graduate and a Canterbury English Teacher, whether you have twenty five hours a week with us or one. One of our teachers, Judy, did the TEFL almost twenty years ago and is still teaching for us. Another, Mirta, did it 15 years ago and is still with us and works in the office as well as teaching. And yet another, Michael, who did it almost ten years ago, still brings his collapsible bike into the office on pay day. Family is about caring for people and visiting them if they have a health problem and need to go to hospital if something happens to them. John has often gone to see a graduate in hospital and Richard was there visiting two graduates just recently. Family is about trusting our family members. That’s why Canterbury English offers financial aid to future family members who want to live the dream but can’t quite do it and trust them to pay us back during the school year. Family is about helping our family members. That’s why we offer our visa program and a year of Spanish classes for free after the first year. That’s also why we offer our Non-EU Madrid addicts, never-wanna-go-home-again long termers (like us), the chance to get their residency permit by sponsoring them with a 100% success rate so far. Few other English schools will do this. Why, if there’s no money involved? Because a real Bona-fida family member doesn’t do things for money. Family is about having a sugar daddy father-like-figure, who shells out the cash on a monthly basis. The first week of every month, you’ll find RC, as we affectionately call him, sitting in his high-backed swivel chair, going over your pay sheet and paying you month after month, along with all the other TEFL graduates and Canterbury English teachers. Any problem you have, he can surely help you with, and the pay appointment is the perfect time when you will have his undivided attention. Family is about sharing time together in a social setting and enjoying each others’ company. With Canterbury English you can go trips with the founder, have a beer with JB at pub night, bond with your classmates and share with us your ups and downs in Madrid. Family is about having a problem and seeking advice from people you can trust and who can council you correctly and help you find a solution to your dilemma, whether they be classmates, Canterbury English staff or Canterbury English TEFL trainers. Family is bringing you here, setting you up and continuing the support long-term. When you arrive, we set everything up for you from housing to a bank account to getting a phone and we help you adjust to Spain and Madrid. Family is about providing a solid support network of classmates, friends and acquaintences. 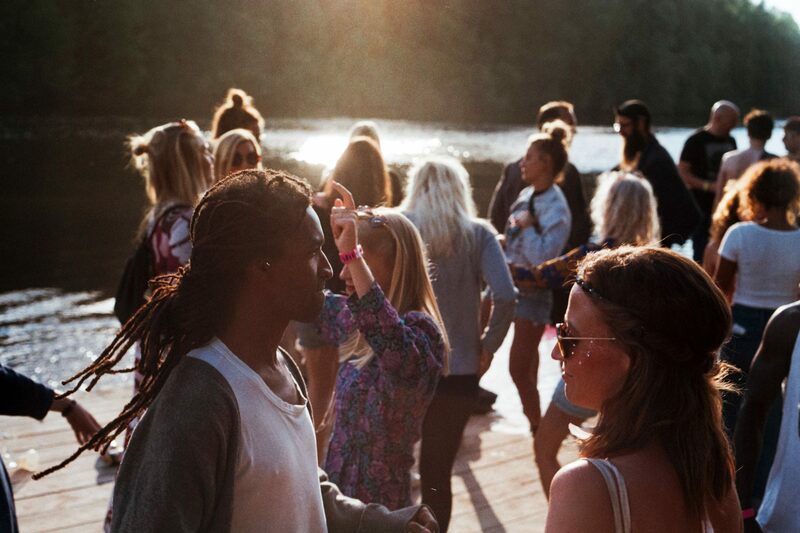 You form sound relationships with the TEFL trainers and your classmates and are able to see them again each month at the monthly Canterbury English Club events. We are also creating a big brother and sister program that pairs up recent graduates with new trainees so that they can go out for cañas and tapas to share tips and advice. This is real bona-fida family networking. When you are soon a veteran, then you get the chance to play big brother or sister for the newbies an plan something fun and creative. This strengthens ties between programs and graduates and your family has just increased to include the three TEFL course months as the graduate who’s helping you from two months ago has been helped by the graduate who did the program three months ago. That is family, that is networking.